Mammootty (born Muhammad Kutty Ismail Paniparambil on 7 September 1951) is an Indian film actor and producer best known for his work in Malayalam cinema. In a career spanning over three decades, he has acted in over 300 films. Mammootty was a lawyer by profession. After establishing himself as a lead actor in the 1980s, he got his major breakthrough with the commercial success of the 1987 film New Delhi. He has won 3 National Film Awards for Best Actor, 7 Kerala State Film Awards, and 13 Filmfare Awards South. In 1998, he was awarded the Padma Shri by the Government of India for his contributions towards the arts. He has also received honorary doctorate degrees from the University of Kerala in January 2010 and from the University of Calicut in December 2010. Mammootty is the chairman of Malayalam Communications, which runs the Malayalam television channels Kairali TV, People TV and WE TV. He is also the goodwill ambassador of the Akshaya project, the first district-wide e-literacy project in India. He is the patron of the Pain and Palliative Care Society, a charitable organisation in Kerala formed with the aim of improving the quality of life among patients with advanced cancer. He has also been working with the Pain and Palliative Care Centre situated in Kozhikode, India. Mammootty was born as Muhammad Kutty Ismail Paniparambil on 7 September 1951 in Chandiroor in Alappuzha district and raised in the village of Chempu near Vaikom in Kottayam district of present-day state of Kerala, India in a middle-class, Muslim family. His father, Ismail, was a farmer and his mother, Fatima, a housewife. He was their eldest son. He has two younger brothers, Ibrahimkutty and Zakariah and three younger sisters, Ameena, Sauda, and Shafina. Mammootty had his primary education from Govt. High School, Kulasekharamangalam, Kottayam. Later Mammootty’s father shifted his family to Ernakulam in the 1960s. His school life was at Government School Ernakulam. He did his pre-university course (pre-degree) at Sacred Heart College, Thevara. He attended Maharaja’s College, Ernakulam for his degree. He graduated with a LL.B. from Government Law College, Ernakulam. Mammootty practiced law for two years in Manjeri. Mammootty has acted in a few non-Malayalam movies and these include some Tamil, Telugu, Hindi, Kannada and English films. In 1990, he made his Tamil debut in Mounam Sammadham, directed by K. Madhu. He has acted in Tamil films for directors including K. Balachander (Azhagan), Mani Ratnam (Thalapathy), Fazil (Kilippechu Kekkavaa), N. Linguswamy (Aanandham) and Rajiv Menon (Kandukondain Kandukondain). (1993). He played the role of Anantha Sharma in K. Vishwanath’s Telugu film Swathi Kiranam (1992). He acted in the Kannada-Malayalam bilingual film Shikari in 2012. He made his debut into Hindi films through Thriyathri which was released in 1989, though his first film as a leading actor was Dhartiputra. He starred in the biographical film Dr. Baba Saheb Ambedkar directed by Jabbar Patel which was in the English language. He also appeared in Sau Jhooth Ek Sach (2004). 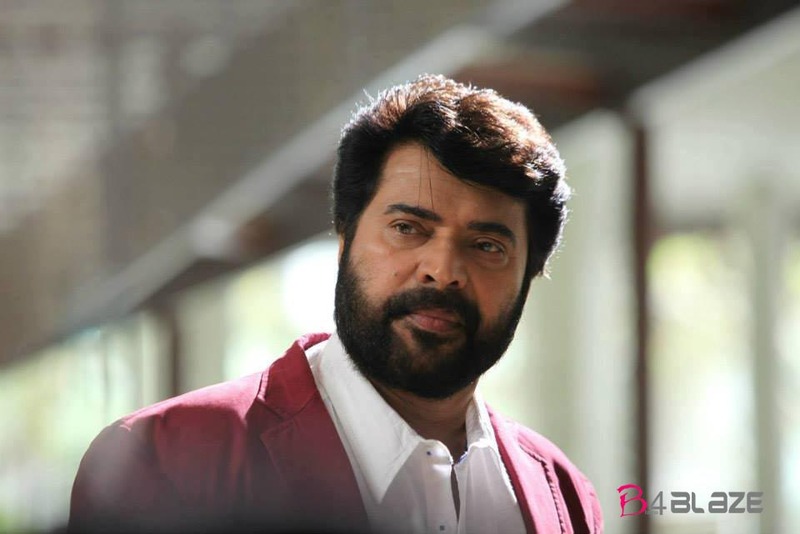 Mammootty has had many of his Malayalam films dubbed into Telugu and Tamil cinema like Doubles, Chattambinaadu,Parunthu,Annan Thambi,Thommanum Makkalum,Sethurama Iyer CBI,Pazhassi Raja and so on. Mammootty is the patron of the Pain and Palliative Care Society, a charitable organisation in Kerala formed with the aim of improving the quality of life among patients with advanced cancer. He has been working with the Pain and Palliative Care Centre situated in Kozhikode, India. Mammootty has now[when?] put forth a novel project to provide the pain and palliative care to those suffering from cancer throughout Kerala. Mammootty is the goodwill ambassador of the charity project “Street India Movement”, which is aimed at the eradication of child begging and child labour. He has promoted the activities of the movement, which networks with orphanages and institutions looking after the children. Kazhcha is a venture to extend free eye care and treatment organised by Mammootty Fans Welfare Association and Mammootty Times, in association with Little Flower Hospital and Research Centre and the Eye Bank Association of Kerala. One of the major activities related to this is distribution of free spectacles to children. A special fund received from the office of the President of India will be utilised[when?] for this purpose. Free eye camps will also be conducted at various places in connection to this project. Mammootty is a patron of “Care and Share International Foundation”, a charity organisation working towards removing the inequalities in society. The foundation has done many notable humanitarian works including the recent “Hridaya Sparsham project”, to mobilise help for the heart surgery of children. Mammootty’s plea over the social networking sites evoked aid worth about ₹ 1 crore within a day. In 2005, Mammootty, Mohanlal, Dileep accounted for 97% of the box-office revenue of Malayalam cinema. Mammootty is busy promoting the anti-drug campaign Addicted to Life. He has joined hands with Kerala State Beverages Corporation to promote the campaign. The project, launched by the Government of Kerala aims to eradicate the drugs and alcohol usage among the people; especially the youth. Mammootty was appointed as the Brand ambassador of the Thrissur-based South Indian Bank on 16 October 2006. He was also featured as the brand ambassador for Kerala Volleyball League. Mammootty and Dubai-based businessman MA Yousuf Ali met with the officials of the Dubai Internet City (DIC) to lobby for the proposed Smart City project at Kochi. Mammootty wrote his first book Kazhchapadu (roughly translated as “Perspective”, a compilation of short essays he has written in various publications over the years). Mammootty owns the distribution company Playhouse Entertainments. Some films distributed by the company are Chattambinadu, Ritu, Three Kings, Living Together, Neelathamara, Pranchiyettan & the Saint, The King and the Commissioner, and Cobra. In 2013, his role in Mathilukal was listed among 25 greatest acting performance of Indian cinema by Forbes India on occasion of celebrating 100 years of Indian Cinema. Masterpiece Box Office Collection Report, Movie Real Review !! Mammootty’s Pullikkaran Staraa: Official Trailer Is Out! One story, two directors; and the hold up proceeds !! 2.3 million on Insta: Priya Prakash Varrier beats Dulquer, Anushka Shetty and others ! !